In his Life of Dr Samuel Johnson, James Boswell famously wrote that only a blockhead would write for any reason except to make money. This is a profoundly unhelpful statement because, if you wait to receive an assignment to write, you will never become a writer. And if you wait for a publisher to offer you an advance before you put pen to paper, you will throw away any chance you ever had of becoming an accomplished writer. Writers are people who write. We write because we have to. Our writing is a special form of the social propensity to make up stories in order to understand our lives. We put down on paper what others merely utter in conversations, or think about in their heads in the dead of night, when they are forced by wakefulness to contemplate where they have been, and where they think they might be going in their lives. Humans are story tellers by nature. That is how we both create a culture and carry it on. That is also how we construct our philosophies and create our science paradigms. And how we move from sanity to insanity and back again! In the absence of stories to construct or consume, we would be less than fully human. But sometimes we get blocked, or dry up. Sometimes we struggle to find the path that we thought we were on, which has now petered out. And sometimes we struggle to get started at all. We know we have something to say, but we are tongue-tied; hand-tied; barricaded into a story of ‘no possibility’; or locked into a sanitized shed in which our most painful experiences have been excluded. But without facing up to the reality of our past life, we are unlikely to ever write anything authentic, with the ring of truth. Something that will grab the reader by the collar and pull them in close, and make their heart beat a little faster, or their mind to illuminate a dark corner of their own life. I write every day, even when I cannot think of what I want to write about. A few years ago now, I wrote the first 18 years of my life, as autobiography; and some friends really liked it. When I made it available as an eBook, 94 people downloaded it in the first week. Recently, I have co-authored a new book on the role of diet and exercise in mental health. And I am also working on a novel set in 2046. I have been writing since 1965, and so, even though my main job is counselling people with emotional problems, and writing books about counselling and therapy, it makes sense for me to offer to help struggling authors to find their way through the barren maze that so often is the lot of creative writers; or even postgraduate students working on dissertations and theses. If you are stuck, dried up or blocked, then I can help! Click this link to buy a 45 minute consultation with Dr Jim Byrne. You can opt to meet face to face, or via Skype, or by telephone. Once you have paid your fee of £50.00 GBP, you should send an email to Jim, at drjwbyrne@gmail.com to arrange a suitable day and time for our conversation. If you are a frustrated author/artist/creative writing person, who is struggling to cope with the repeated rejections which are the lot of creative producers – or you are grappling with creative burnout, or writers’ block – then I can help you. One of the main ways in which authors and other creative artists become stuck is that we feel the pain of rejection and hurt when our work is not taken up with the degree of enthusiasm which we had hoped and expected; and sometimes the sense of rejection and loss is extreme or even total. The worst thing we can do with the sense of hurt and grief is to bottle it up, and refuse to feel it, and thereby to fail to process it. Perhaps you have tried to write something powerful and successful, for a year or two – or a decade or two – and now you have given up trying, because you believe the case is hopeless. Or perhaps you have just dried up, because you cannot get below the crust of pain that has congealed around your creative talent! Or you cannot create because your ideas are frozen into pre-existing metaphors! Persistence is the key to success. Not talent, or genius, or privilege. Persistence alone can guarantee your eventual success! But you cannot persist if you are feeling hurt. Some creative writers find they win the race because they hang in there until everybody else has dropped out! “It is not the critic who counts, not the (wo)man who points out how the strong (wo)man stumbles or where the doer of deeds could have done them better. The credit belongs to the (wo)man who is actually in the arena, whose face is marred by dust and sweat and blood, who strives valiantly, who errs and comes up short again and again because there is no effort without error and shortcomings, who knows the great devotion, who spends him(her)self in a worthy cause, who at best knows in the end the high achievement of triumph and who at worst, if s/he fails while daring greatly, knows his/her place shall never be with those timid and cold souls who know neither victory nor defeat”. Most humans are somewhat phobic about pain, and when any pain arrives in our lives, the temptation is to push it away. But the only place we can push it is out of conscious awareness, into the non-conscious part of our minds. Robin Skynner, a famous British family therapist, describes this as “putting it behind the screens”. And whatever you have behind the screens tends to control your present and future actions. So if you have pain and bruising from rejection of your creative efforts hidden behind the screen (of your non-conscious mind) then you will tend to be wary about trying again, because of a (non-unconscious) fear of failure or fear of rejection! So, when we hide our pain of rejection behind the screens, we end up with what Werner Erhard called “long-suffering-stuff”! The pain goes on and on, below the level of conscious awareness, but it stops us taking any more risks! What I learned from Werner Erhard and others was this: If you want to get rid of the pain, it’s best to face up to it immediately and totally. It hurts for a while, as you process it, and then it disappears. It goes into the background of your life, as something ‘complete’, ‘burned out’, and belonging to the past! So, I’m for ‘short-suffering-stuff’, which means I face up to the pain, feel it totally, digest it, and then allow it to drift into the past. Then I can get back on the ‘creative horse’ and charge the next fence! That, therefore is what I would recommend to you, if you have been hurt by rejection of your creative writing efforts in the past. If you want to get back on the creative horse and try again, then you have to face up to your past failures, and to digest them. I can help you with that. I understand both the therapeutic processes involved, and the creative processes involved. As Julia Cameron writes: “One of the most difficult tasks an artist must face is a primal one: artistic survival. All artists must learn the art of surviving loss: loss of hope, loss of face, loss of money, loss of self-belief. In addition to our many gains, we inevitably suffer these losses in an artistic career. They are the hazards of the road and, in many ways, its signposts. Artistic losses can be turned into artistic gains and strengths – but not in the isolation of the beleaguered artist’s brain. “As mental-health experts are quick to point out, in order to move through loss and beyond it, we must acknowledge it and share it. Because artistic losses are seldom openly acknowledged or mourned, they become artistic scar tissue that blocks artistic growth. Deemed too painful, too silly, too humiliating to share and so to heal, they become, instead, secret losses”. (The Artist’s Way, page 129). I came from a largely uneducated, rural Irish background. I grew up in the wild streets of Dublin in the 1950’s – at least from the age of fourteen to eighteen years. But I failed to imbibe any of the sounds of Sean O’Casey (Ireland’s Shakespeare), J.M. Synge, Brendan Behan, or any of those other powerful writing talents of Irish history. Instead, I spent my teenage years doing Judo, and learning metal jewellery skills. Then, in England, at the age of 19 years, I began to learn the skills of writing by drafting notices for noticeboards in the RAF. (This is not significantly dissimilar to Graham Green and Evelyn Waugh learning their novel writing art by cobbling obituaries together on a daily basis, for the Times, in London). By the age of 22 years I was writing articles and papers for left-wing journals in London and Dublin. By the age of 27 years, I was studying economics, politics, industrial relations and statistics, at Ruskin College, Oxford, and writing an essay each week which had to be read out to my tutor at my weekly tutorials. By the age of 30, I was working in Third World development, in Bangladesh, where I wrote and published two books, which had limited circulation. (Some of my reports came to the attention of two men, an American and a Norwegian, in the UN, who praised me for my writing style and the impactfulness of my communication). Then I moved to Thailand where I wrote a number of influential reports on Northeast Village Technology and Rural Economy, which had virtually no impact. My writings in Bangladesh and Thailand were considered too radical, and too populist, to appeal to ‘the powers that be’. Back in the UK, at the age of 33-34, I could feel the social pressure to ‘climb back into’ my ill-fitting little ‘social box’, like a good little conformist, and allow the ‘preordained winners’ – born with silver spoons in their little mouths – to do the interesting stuff! But I refused to shrink my self-concept. I therefore began to train as a Technical Author; study Creative Writing; study maths and technology with the Open University; and to write books, and edit and ghost-write books, mainly for the Intermediate Technology Development Group, in Rugby. In addition, I wrote and illustrated my own book on pneumatic control systems. All of this feverish productivity amounted to very little in terms of impact or influence. And certainly, I made less money than the local window cleaner! So I then moved into local authority education and training organisations in Rochdale, Leeds and Bradford, and wrote a number of reports which brought in lots of money to pay the salaries of a few individuals who made a small impact on the lives of young working class teenagers, some adult women, and some people from minority ethnic communities. (During this time, I also trained as a Further Education Lecturer, and completed my Masters degree in Education, again with the Open University). But the payback to me, or reward for effort, was still very little – and my work remained almost invisible. Nevertheless, I kept on writing – my next project being a novel, which was never published – but from which I learned a lot about how not to write a novel. apart from a 350,000 word doctoral thesis (which had to be whittled down to 50,000 – and combined with three papers each of 10,000 words) to earn my Doctorate in Counselling. And I have written several books, as described below. For several months, now, I’ve been undertaking Julia Cameron’s course in ‘creative recovery’ – which I have done in the past on at least a couple of occasions. This involves writing three pages of ‘stream of consciousness’ every morning, in order to throw up creative insights and solutions to current problems. “I have resumed my reading of The Artist’s Way, by Julia Cameron. “I’ve been reading about mourning the ‘losses’ experienced by artists when their work is rejected by the world, or simply not recognized for what it is. Metal Dog – Long Road Home: A mythical journey through the eye of a needle. (2017). This is my autobiographical novel, or revised personal mythology, and the nearest thing I will ever produce to an official autobiography of the first forty years of my life. Still on sale as a paperback. This book (Metal Dog) has been produced in five different incarnations, each of which ‘fell stillborn from the presses!’ – to borrow an expression from David Hume, which he used to describe the fate of his first book of philosophy. Regarding the poor reception of virtually all of my published work, I, of course, felt rejected! Dejected, at times! Neglected, to a considerable degree! Disappointed. And stressed, because of the lack of payment for my hard work! But I bounced back each time. I re-framed the rejection – and then digested it; completed it; burned it out! And then I moved on, actually quite quickly and efficiently, to my next writing project. 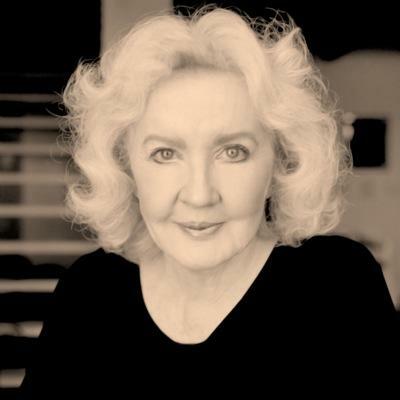 Instead of asking “why me?”, I asked, “What next?” as advised by Julia Cameron. But I was doing that long before I read her book of advice and creative recovery coaching. I have taught myself over the years to be a moderate Stoic; to be a creative producer; to be persistent; and to keep producing, no matter what the world may do in response to my productions. I am a creative artist, a producer, and I believe that one day I will be ‘discovered’. Back to your writing ambitions, dear reader. The only time we have is right now – this day, this hour. If you are ever going to do it, then you have to do it now! The time for action has long passed. Do it now! Or drop it forever! If you are a blocked creative writer, or if you are stuck with uncompleted grief or mourning about losses and rejections resulting from your ‘stillborn productions’, then I can help you to digest your problems and to move on, as I have done, many times! Contact me today to set up an appointment, face to face in Hebden Bridge, or over the telephone, or via Skype or email. or 44 1422 843 629 (from outside).